In which district is Gogamedi fair held? Which of the following gives the correct descending order in volume of the three basis layers of the earth? Which is not a characteristic of the Constitution of India? ‘People did not lock their houses.’ – About which ruler has Fa-hien written this? Which of the following countries is the world’s largest producer of coal? ‘Cyclones’ are known by this name in the Gulf of Mexico. Which one among the following rivers is the longest? What type of forest prevails in regions having the climate of hot and dry in summer and, warm and wet in winter? Which of the following is/are wrongly matched? Which of the following statements regarding judiciary in India are correct? 1.In India, judiciary is not a part of the state. 2.In India the pattern and designation of subordinate courts in states is not uniform. 3.Mastiff courts have both civil and criminal jurisdiction. Which is not a cause of poverty In India? Which one of the following is not one of the three authorities of Municipally? blunder, democracy is main characteristic of indian constitution. Answer should be employment gurantee to every citizen. blunder in answer of question no-7 social science quiz. Democracy is main characteristic of constitution of india. blunder in answer of question no-7 of social science quiz. Good work.but you should add more questions in your test. but you should add more questions in your test. very well work by this site.I really appreciate the test available on this site. I will suggest u to upload more practice test. 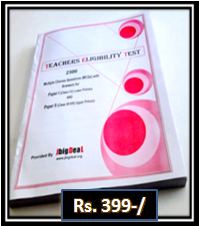 in question paper set the question of : indias area is wrong specific area is 3287263 sq ft. Please get in touch with erc-pune.org.They have great material for these kind of tests. Please get in touch with erc-pune.org. They have great material for these kind of tests.